Sister Adelaide Peters was proud and excited to represent her hospital in a new exchange scheme. It meant she'd be spending a year in Holland. Adelaide was determined to do her best, and she more than succeeded. She adored Holland, liked her colleagues and even mastered some of the language. She also unexpectedly – and disastrously – fell in love with her new boss. But Professor Coenraad van Essen was clearly out of her league. Sister Maggy MacFergus was tall, and she had discovered that most men found this off-putting...but not Dr Paul Doelsma. 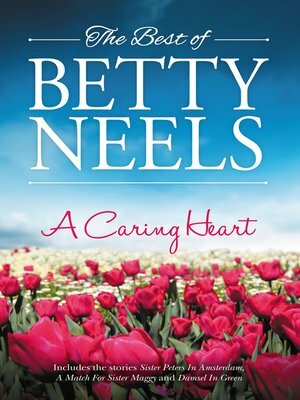 So when the doctor offered Maggy a nursing job in Holland, she took it. There was something special about him, and it wasn't just his height! Yet she was sensible enough to realise that he would never return her feelings – after all, Paul had said he'd already chosen himself a wonderful wife. But who was the lucky girl? Georgina Rodman had been given a special nursing assignment – she was to look after the Van den Berg Eyffert children, who were recovering from an accident. Having worked in a casualty ward, Georgina felt she could cope with just about anything life threw at her. But that was before she met the children's guardian, Julius. Afterwards she realised that even common sense and a practical nature couldn't stop her from falling in love...with a man who didn't even know she existed!